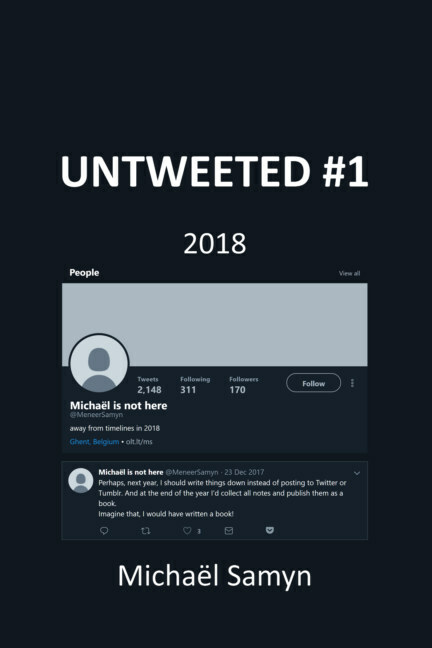 As per a New Year's resolution, I did not post a single tweet to @MeneerSamyn in 2018. Instead I made offline notes of everything I might have tweeted or otherwise posted on the internet. This is a collection of these notes, organized per topic: Art, Music, Work, Media, Politics, Society, Spirituality and Philosophy.